More than 90 percent of people caring for a family member with dementia experience poor sleep. 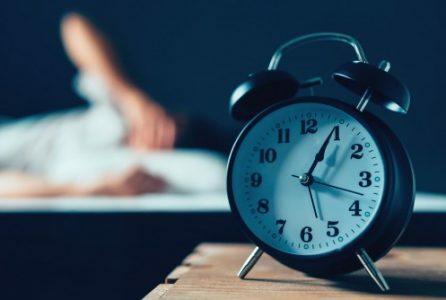 New research by the University at Buffalo (UB) School of Nursing, found that most participants sleeping less than six hours of sleep each night experienced frequent awakenings as often as four times per hour. These disruptions can lead to chronic sleep deprivation and place caregivers at risk for depression, weight gain, heart disease and premature death, said lead author Yu-Ping Chang, PhD, Patricia H. and Richard E. Garman Endowed Professor in the UB School of Nursing. “Though memory loss is the best-known symptom of dementia, more than 80 percent of people with dementia will also experience sleep disturbances, anxiety and wandering” said Chang, also the associate dean for research and scholarship in the School of Nursing. Nearly 6 million people are living with Alzheimer’s disease. However, the effects are felt by the more than 16 million people, often family members, providing unpaid care, according to the Alzheimer’s Association. Past research has found that between 50 and 70 percent of caregivers have sleeping complaints, but the data used in those studies was self-reported. Few researchers have taken objective measurements to gain a more accurate picture of caregiver sleep quality, said Chang. Caregivers were also required to complete a diary for themselves and their care recipients, and self-assessments on depression, burden of care, sleep quality and sleep hygiene — behaviors that may interfere with slumber such as daytime naps, exercise and watching television before bed. The researchers found that nearly 92 percent of participants experienced poor slumber quality, awoke frequently and slept less than six hours per night — below the recommended total of seven or eight hours per night. Poor hygiene was found to increase sleep latency, or the amount of time it takes to fall asleep. Although caregivers self-reported taking an average of 30 minutes to fall asleep, data collected from the actigraphy watches showed a longer sleep latency of 40 minutes. The results, said Chang, highlight the gap between caregivers’ subjective perception and objective measurements of their sleep quality.